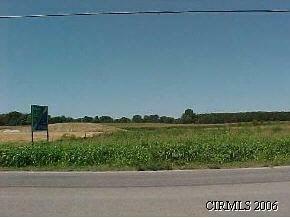 369.35 FT CHASE ROAD FRONTAGE + 75 FT EASEMENT ACROSS NORTH EDGE FOR ACCESS TO HIGHWAY 25. GREAT POTENTIAL FOR DEVELOPMENT. ALL UTILITIES AVAILABLE ACROSS CHASE ROAD. 13 acres. currently cash rented. Condos are greatly needed in this community. This property is located less than a 1/4 mile from IN SR 25 N. It is about 1/2 mile from Logansport Memorial Hospital which has outstanding health care available. There are medical offices, retail, dining establishments, house of worship, park, walking trails, private homes, apartments, nursing homes, senior center and housing, all within the neighborhood or within close radius. This is a perfect spot for some condos. Condos most recently on the market ranged from $129,000-$200,000+. There is a waiting list for most.